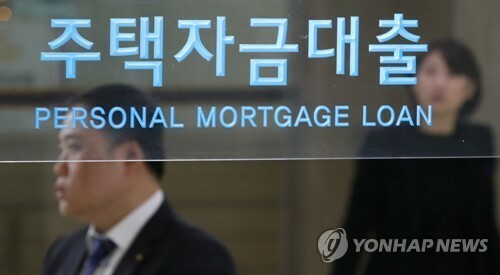 Household loans at South Korea's five major banks reached an accumulated 548 trillion won at the end of July as people continue to borrow money to buy a house, the lenders said Saturday. The five banks -- KB Kookmin Bank, Shinhan Bank, Woori Bank, KEB Hana Bank and NH Nonghyup Bank -- held a combined 547.7 trillion won in household loans at end-July, up 7.4 percent from 509.8 trillion won a year earlier, their data showed. The government has announced packages of measures to stabilize the real estate market in the past year, but the measures, including stricter lending rules at banks, didn't work properly.